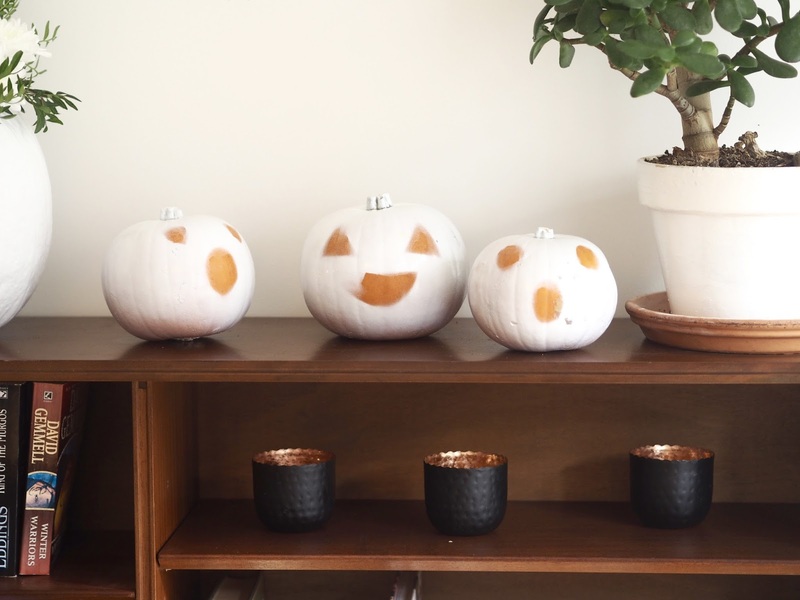 Incase you too are going pumpkin mad and looking for endless #inspo, I thought I’d share the three ways I decided to decorate mine this year. There is a more detailed tutorial for the white painted pumpkin here, but I’ll quickly run through what’s needed for the other two styles now. The three little ones (below) are probably the easiest to execute – you just need a bottle of white spray paint. I cut out pieces of paper for eyes and mouths and (really technical stuff now guys) stuck them on with the double-sided tape trick. Then just sprayed (pretty badly) over the top! One of these little guys lost part of his smile in the painting process, but I’m just telling people he had a gory accident like the terrifying mouth-less clown from American Horror Story. 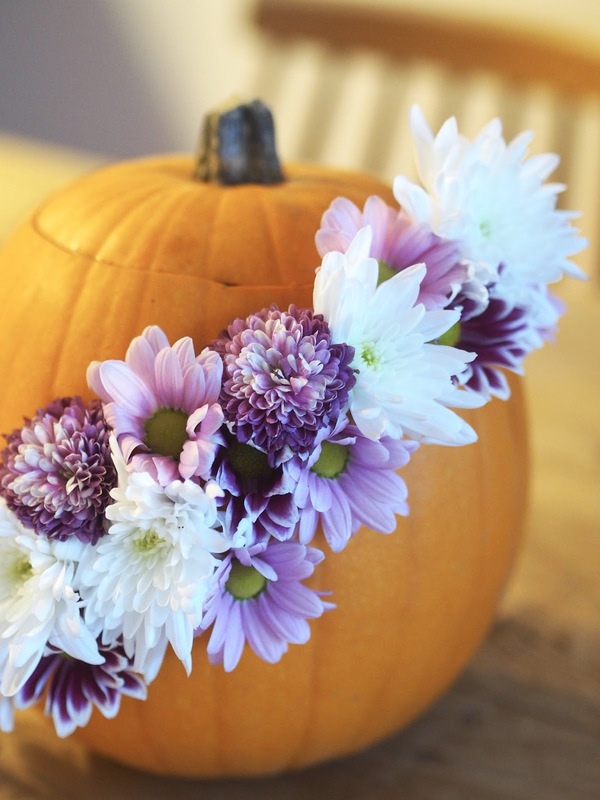 The floral swirl pumpkin took a little more research, but it is still pretty simple. Step 1: Hollow out your pumpkin and discard the flesh, but keep the lid. Step 2: Soak your oasis in a sink full of water. Let it sink naturally, don’t push it down. Step 3: Pack the inside of the pumpkin with oasis. 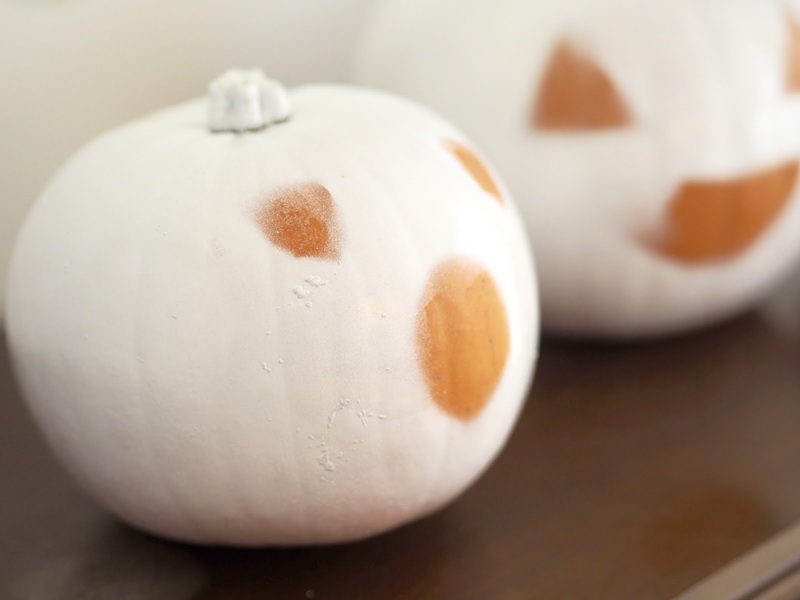 Step 4: Using a drill or a skewer, poke holes through the pumpkin where you’d like to see the flowers. Step 5: Fill holes with cut stems from your flowers. Step 6: Put the lid of your pumpkin back on. 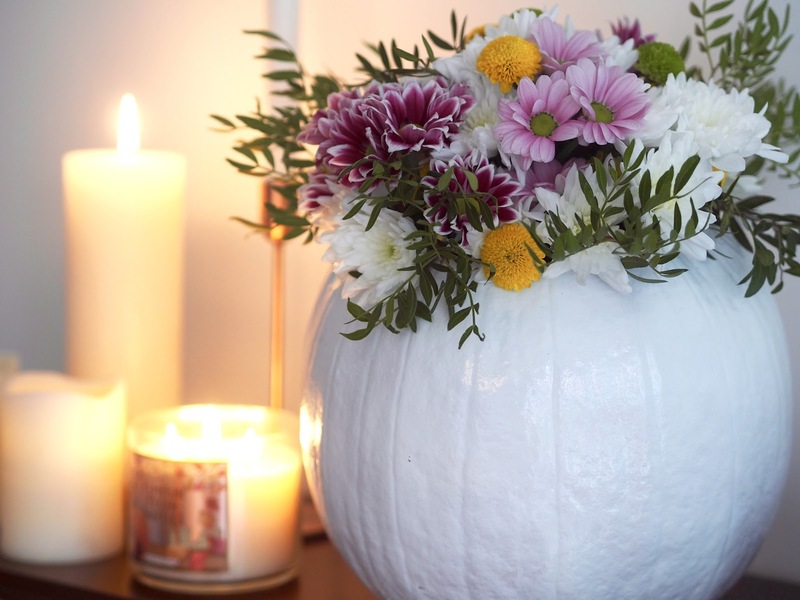 Tips: Make sure the inside of the pumpkin is totally try before adding the oasis. Cut stems short to avoid snapping too many of them. Don’t over-water the oasis. Keep the design simple. Have fun! Someone on Instagram told me that it looks as if my pumpkin found a snapchat filter (we all know which one!) and now I’m slightly concerned about my level on enthusiasm for Snapchat. 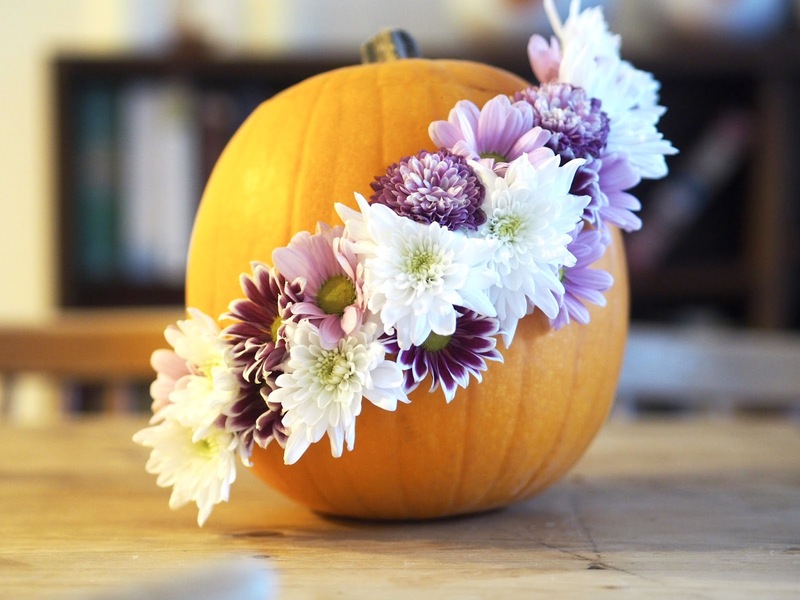 Will you attempt a floral pumpkin this year or are you going for a spooky carving?